By the looks of this one you weren't all THAT stumped. It came out great! 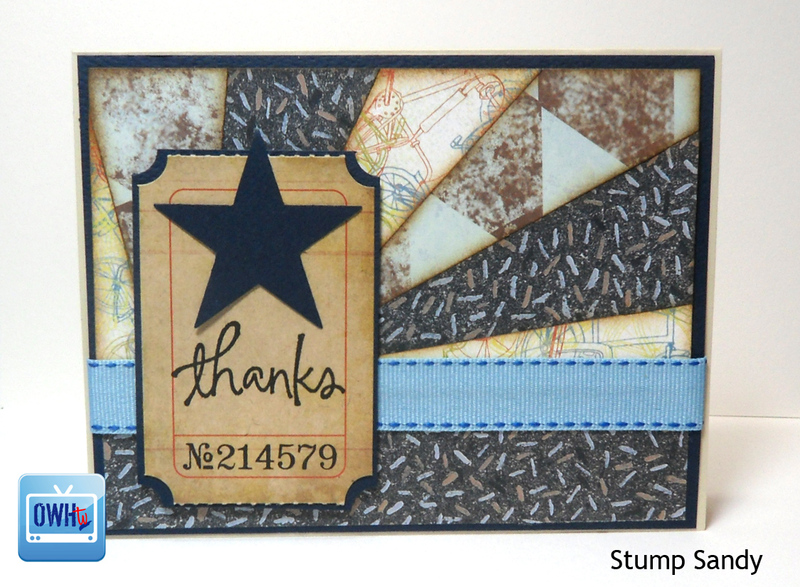 Stump Sandy card looks great. The papers work so well together. One more day to the card making party. Yipee!! 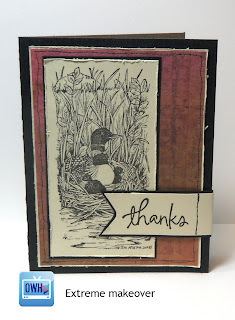 Yet another one of my Stamp Sandy papers makes an appearance... the black confetti one came from me! That light bulb paper you used as the base for the sunburst I have it and just used it for a card. It has "You Light Up My Life" on it. 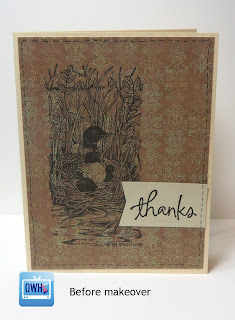 Then I used the scraps for my first sunburst card, using the same sentiment. 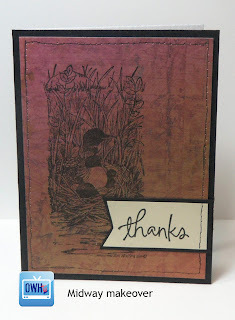 When I figure out how to add a photo, I'll show my cards to you.